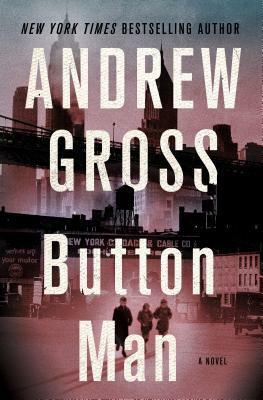 This new novel is equal parts historical thriller, rich with the detail of a vibrant New York City in the 1920s and 1930s, and family saga, based in part on Andrew Gross’s family history, and will cement his reputation as today’s most atmospheric and original historical thriller writer. Immigrants in the 20’s and 30’s, the Rabinowitz family was dealt two tragic blows in one day. Those tragic incidents would shape the future of the boys, Morris, Sol and Harry. They were already barely making ends meet and now with the death of their father, dreams must be put on hold as the boys must become wage earners while still children. Morris, became an apprentice in the garment industry at just 12 years old! Even at 12, he knew his worth. He was a quick learner and didn’t back down to anyone. And this was a problem with the union bosses and mobs controlling every inch of the garment industry and to go up against them was deadly. While Sol became an accountant, he eventually went into business with Morris. Harry would make a much different choice with his life. To join the mobsters. Harry likes money. And women and the big flashy life of the gangs working for Louis Buchalter. But who will he stand with when the big boss comes for the garment industry and his brothers. Because Morris isn’t backing down. Ever. Based on his own family history, Gross tells the story so well. With great historical accuracy and characters that were inspiring. RELEASE DAY FOR THESE LOVELIES! Amazing Post! Followed your Blog!